What constitutes a successful luxury yacht charter is undeniably your choice of the yacht, the destination in which you decide to soak up the warm tropical sun and a crew always on guard to provide the best quality service coupled with a premium selection of water toys available onboard. Sunreef Yachts Charter knows the importance of the latter and presents you with the top water toys available on the market. Whether you opt for the newest high-tech solutions or the more classical inflatables, the list is complete with something for every guest to enjoy during their luxury charter holiday. Extremely easy to operate yet handy and very fun to ride, this engine-free water toy is perfect for quiet excursions. Requiring only the paddle in your hand, thrilling adventures await you as you row your way through the gentle waves whilst admiring the inspiring, tranquil scenery of exotic islands. This water toy is another top choice, one that was almost as popular as jet skis when it was first launched and many yachts, both private and charter, carry it in their toy chest. This water sled, held in front of your body and maneuvered entirely with your hands, speeds up to 14 miles per hour and allows for diving at 120 feet with underwater cruising of 10 miles per hour. It is therefore without surprise that this magnificent and easy to handle water toy is continuously one of the most popular ever. 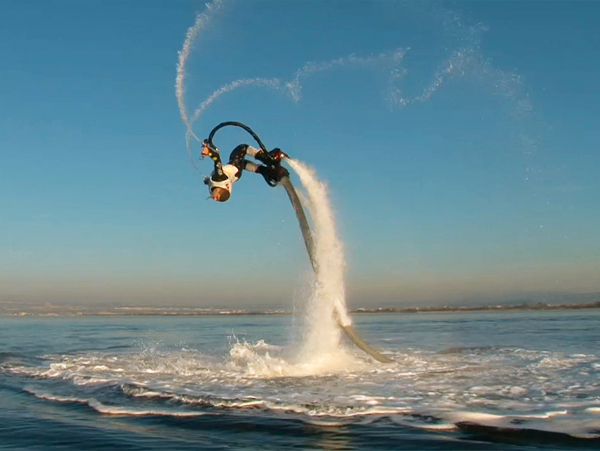 The Flyboard by Zapata Racing is a true crème de la crème among water toys. Allowing for an awe-inspiring adventure below as well as above the water surface, this watercraft provides guests with unique sensations. Try gliding swiftly underwater or float in the air like you would have never imagined as you challenge gravity laws. This water toy ranks high among the most impressive newest technologies and it promises unbelievable, once in a lifetime sensations. Bouncing on a trampoline is probably one of the best childhood memories one can hold and it is just as much fun as an adult! And what better way to indulge in the fun of vaulting in the air than on a water trampoline from which you can jump straight into the crystal clear water to cool off. 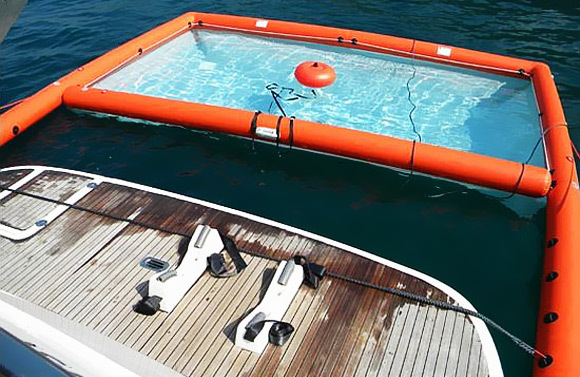 These toys are presently manufactured by a few companies, namely Rave Sports and Island Hopper, both of them specializing in convenient inflatable trampolines floating just a few feet away from your luxury yacht so that the crew has everyone at a safe distance. This toy is stowed easily as it deflates effortlessly when not in use. 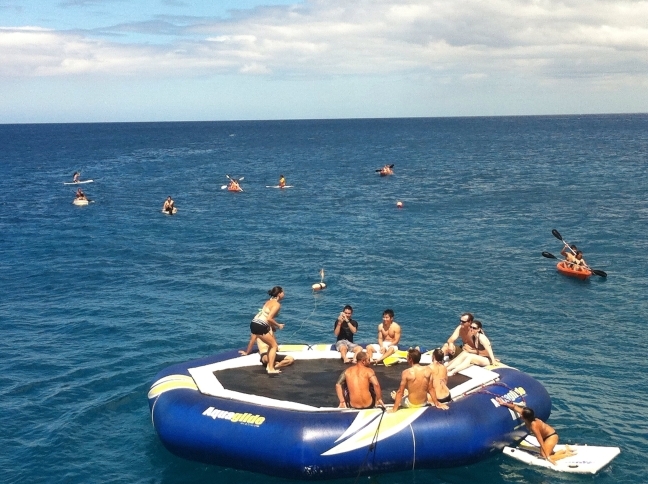 The water trampoline is without a doubt one of the biggest successes among charter guests opting for fun in the sun while keeping close to their luxury vessel. A few months ago Aqua Star launched its newest water toy, a two-person submarine scooter for underwater experience for couples. This too-good-to-be-true water toy is the ultimate way to explore the rich exotic underwater flora and fauna both in the craft and while swimming your way through tropical water as dismounting and climbing back on is more than highly recommended. The newest version of this Aqua Star toy is a much faster, lighter and sleeker one than her sister models and the utmost in technology, design and materials make for a highly safe yet stimulating underwater adventure. With a delightful speed of 3 miles per hour, a maximum depth of close to 40 feet and a rechargeable battery life of 2.5 hours, passengers can spend an exhilarating morning or afternoon easily accessing shallow reefs and caves. What makes the scooter even more appealing is that passengers are not required to have a diving certification or prior experience. 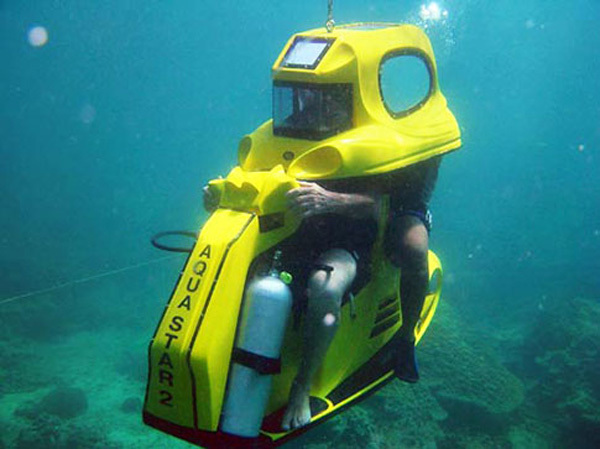 Hop into this submarine scooter for two and enjoy the sublime underwater entourage! This choice is every family’s favorite as it assures you with calm, safety and liberty of bathing in transparent turquoise ocean waters. Especially safe for children, this toy protects them from the deep waters and such marine life as jellyfish, allowing them to enjoy all the fun and pleasure of swimming in the ocean. You can play with your children in the pool or leave them in the safe hands of the crew as you lounge on the deck of your luxury yacht or opt for a more thrilling ocean adventure. Not only suitable for exploring the sea, this classic water toy is an indispensable one for discovering picturesque coves, cays and rivers. Paddle leisurely through lingering waters or opt for a relaxing afternoon rowing inland on a quaint river or a calm pond where you could step off to discover a beautiful natural entourage featuring rich verdant flora and tropical fauna. 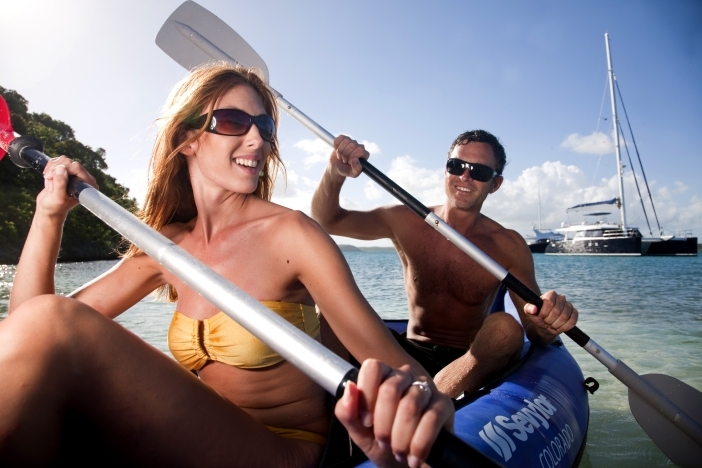 Kayaking rests undeniably one of the most popular pastimes among luxury charter guests as it provides them with a unique experience of a breathtaking scenery and a one of a kind languid skim. If you are not a certified diver yet and you wish to explore the submarine flora and fauna, snorkeling is the perfect way to do so. Requiring nothing more than a mask, a snorkel and fins, this sport is the ideal way to relax underwater whether you wish to cherish unique corals or diverse tropical fish. A purely recreational sport, snorkeling is the more appealing as no prior training is necessary making this underwater activity a must for all families with children. 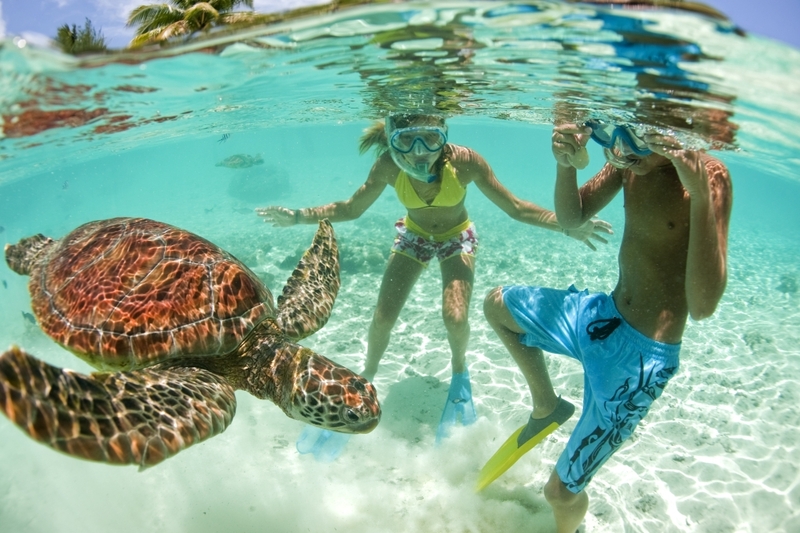 Exciting and fun, snorkeling is always an awe-inspiring adventure leaving guests with unforgettable lifetime memories. The inflatable water slide is one water toy that stands high above the rest, sure to bring much excitement and fun to passengers of all ages. 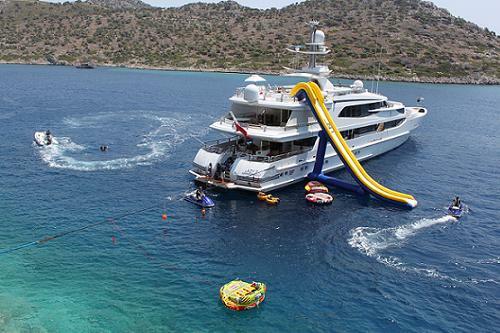 Indeed impressive, water slides are always custom-made to meet individual specifications of the yacht. Coming in different sizes, water slides are always a great success among guests wishing to experience the thrill of the water without drawing too far away from their luxury yacht. 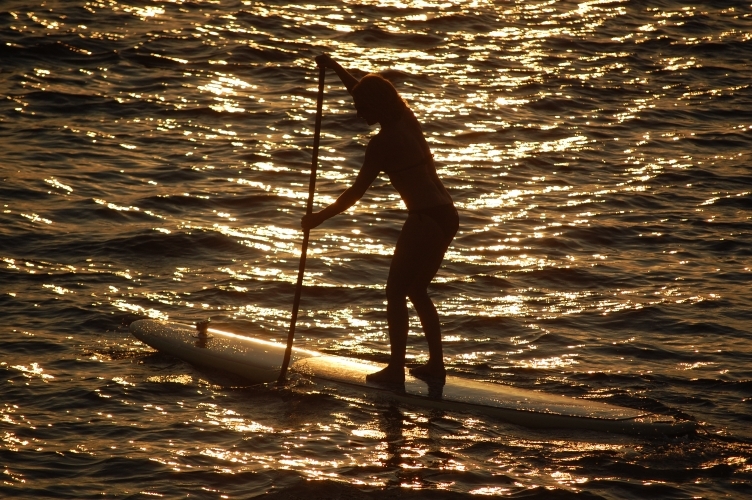 It is quite the impeccable way of reaching the water straight from the sundeck of your exquisite vessel. Yet another essential water toy for a stimulating water adventure, it allows you to experience the thrill of speeding behind a personal watercraft while balancing skillfully on imposing waters. 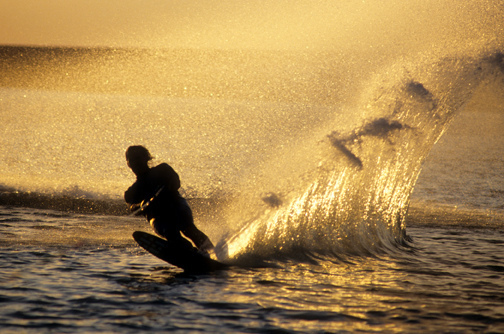 Available on most luxury charter yachts, water skis bring much sizzle to all adventurous souls. Skim through tropical waters, whether you opt for a more leisurely ride or a trick-filled one, feel the speed mounting in your veins as one of the crew members accelerates the boat and await the exhilaration and energy rising inside you. 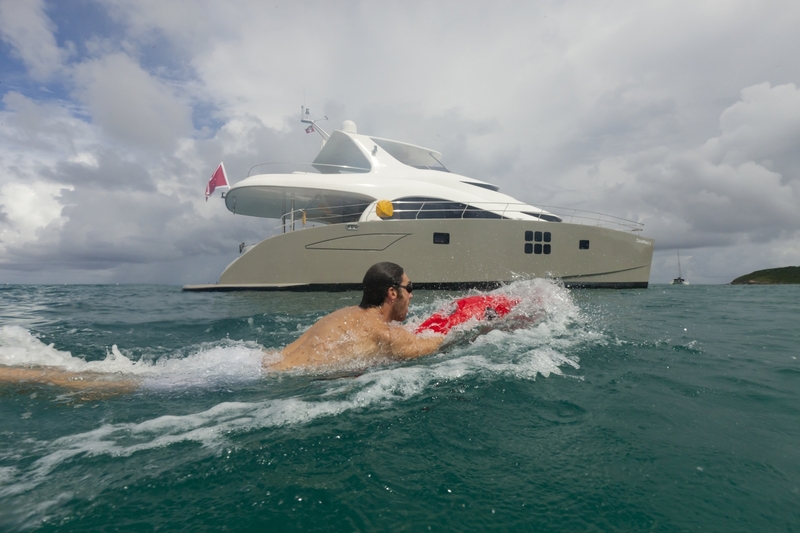 Always one of the guests’ favorite, this water toy is more than just a sparkle to your luxury charter vacation. This entry was posted in Destinations, Water Toys and tagged Aqua Star Dive Scooter, Charter Toys, Flyboard, Kayaks, Luxury charter holiday, Magic Swim Inflatable Pool, Paddleboard, SeaBob, Snorkeling Equipment, Water Skis, Water Slide, Water Toys, Water Trampolines by sunreef yachts charter. Bookmark the permalink.